The 2006 Connecticut Home Show was the setting for both a business connection and a love story for Jim and Lisa Dufour. 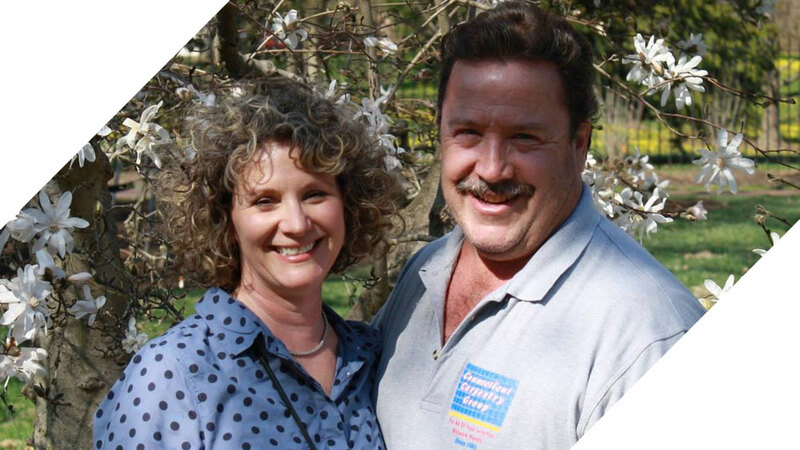 Fast forward to today, Jim and Lisa have been happily married since 2008 and collectively own three successful construction-related companies, one being The Edge Countertops. So it would seem the stars were certainly aligned as it was not only the beginning of a great love story but also of a business partnership that would ultimately flourish. Born and raised in New Britain, Jim created Connecticut Carpentry Group, LLC in 1985. In 1999, The Edge Countertops was established as an offshoot of the company. The Edge Countertops was initially based in Meriden, Connecticut and their primary focus was fabricating Corian Kitchens and vanity tops. Over the years, however, the company grew into a full-service shop with a wide variety of countertop products to meet and exceed any customer’s needs and expectations. In 2017, wanting to return to their roots, Jim and Lisa purchased a 50,000 square foot building in New Britain (which was previously home to Sanson Cabinet Company). While they needed the space for expansion, Jim and Lisa were equally as excited about the opportunity to give back to the community and rent 20,000 square feet of their new building to other local businesses. Today, the duo and their team strive to deliver the very best in countertop materials, fabrication, and installation services. An empire built on love and a passion to provide outstanding products and service to every customer ... welcome to The Edge Countertops.